The quality and value you've come to expect from all Magma products now in an 18-10 stainless steel cookware set that nests for storage in less than 1/2 cubic foot of cabinet space. 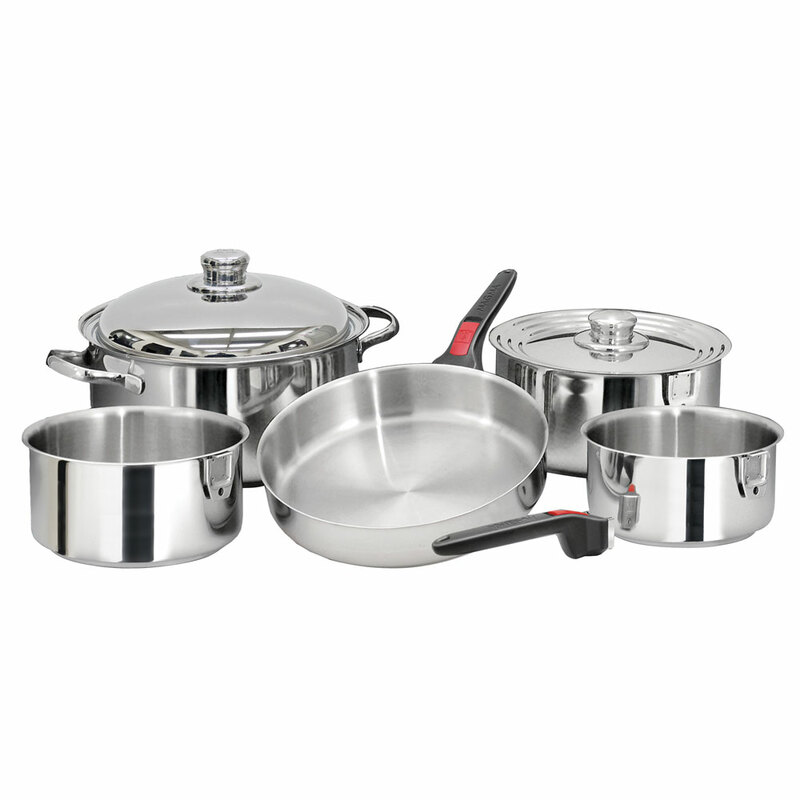 The set includes three Sauce Pans (1-1/2 qt., 2 qt., and 3 qt. ), a Lid that fits all three saucepans, a 5 qt. Stock Pot, a 9-1/2 inch diameter Saute Pan, a lid for the Stock Pot and SautePan, 2 removable handles, and a convenient Bungee storage cord. All have triple clad bottoms (stainless steel, aluminum, stainless steel) and are milled perfectly flat for even heat distribution on gas, electric or ceramic cooktops. All the cookware is oven safe and dishwasher friendly. Yacht quality cookware at a value price.